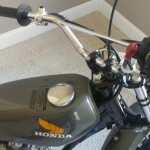 Restored 1974 Honda XR75 Motorcycle. This little Honda was fully restored by its owner. All of the black frame parts and the frame were sandblasted and powder coated in gloss black. The engine cases were split to inspect all internal transmission parts. The cases were cleaned and polished before being re-assembled. 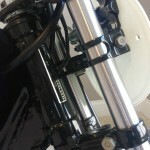 The cylinder was honed and new rings were installed. Both of the valves were replaced with new items. The top and bottom timing gears and the timing chain was replaced. Every nut, screw and bolt was replaced with new hardware from Honda. 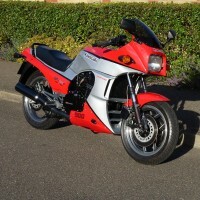 The tank, fenders and the side panels were painted in the correct rubber grey paint and aftermarket Honda wings and xr75 decals were installed. New spokes and wheel rims from Honda were fitted to polished hubs. New aftermarket rear shocks were fitted. The front fork upper tubes were re-hard chromed. The forks were rebuilt with new seals and dust wipers. 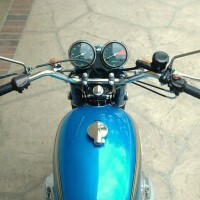 New chrome handlebars were fitted. 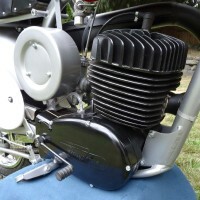 The seat pan was powder coated and a new seat foam and seat cover was professionally installed. The original exhaust was sandblasted and the dings were filled before being painted in high heat flat black. 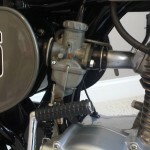 A really great restored Honda XR75 Motorcycle. 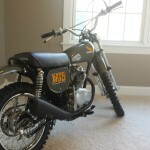 Honda XR75 – 1974 For Sale or Wanted? 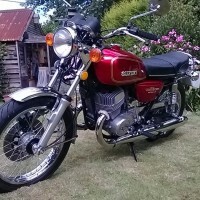 If you're looking for the perfect Honda XR75 – 1974 for sale then take a look at the hundreds of restored classic motorcycles listed on our extensive Motorcycles For Sale pages. 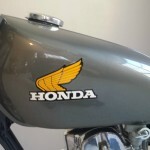 We regularly feature very nice restored Honda XR75 – 1974 bikes for sale. 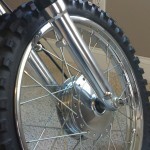 Spares and Parts for your Honda XR75 – 1974? 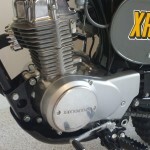 Workshop Manual for your Honda XR75 – 1974? 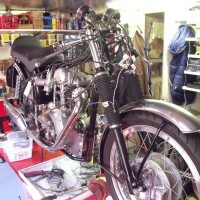 Hi Joe, we’re an enthusiast website displaying photos and stories of some wonderful bike restorations. 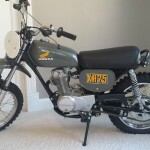 i am after a completely restored 1974 Honda XR 75… If you have one, i would be interested to purchase.. I am in Adelaide South Australia, is this an issue?